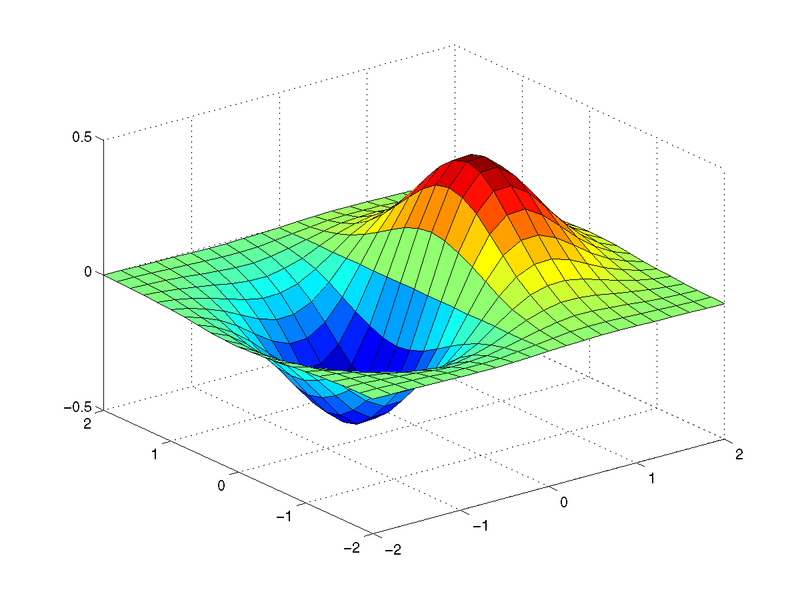 Matlab is a tool for doing numerical computations with matrices and vectors. It can also display information graphically. The best way to learn what Matlab can do is to work through some examples at the computer. After reading the " getting started " section, you can use the tutorial below for this. Here is a sample session with Matlab. Text in bold is what you type, ordinary text is what the computer "types." You should read this example, then imitate it at the computer. In this example you started Matlab by (you guessed it) typing matlab. Then you defined matrix a and computed its square ("a times a"). Finally (having done enough work for one day) you quit Matlab. The tutorial below gives more examples of how to use Matlab. For best results, work them out using a computer: learn by doing! Do this now: define the matrix a. Do the same with the examples below: work out each of them with matlab. Learn by doing! Notice that the two products are different: matrix multiplication is noncommmutative. If A is invertible, X = (1/A)B, or, using Matlab notation, X = A\B. Lets try this out by solving ax = b with a as before and b = [ 1; 0 ]. Note that b is a column vector. What do you notice? Is there an explanation? Is there a lesson to be learned? Remark: you have just learned to write a kind of loop, a so-called for loop. This is an easy way to command the machine, in just a few words, to do much repetitive work. The command t = 0:.3:10; defines a vector with components ranging from 0 to 10 in steps of 0.3. The y = sin(t); defines a vector whose components are sin(0), sin(0.3), sin(0.6), etc. Finally, plot(t,y) use the vector of t and y values to construct the graph. The first command creates a matrix whose entries are the points of a grid in the square -2 <= x <= 2, -2 <= y <= 2. The small squares which make up the grid are 0.2 units wide and 0.2 unit tall. The second command creates a matrix whose entries are the values of the function z(x,y) at the grid points. The third command uses this information to construct the graph.